How will comprehensive and collision insurance coverages fix damage to your car? If you’ve watched the news lately, there has been significant coverage on wildfires, severe storms, and most recently, Hurricane Florence. As we transition through the seasons, we encounter different perils that could pose risk to our vehicles. With all these different scenarios present in our lives, it may be difficult to keep track of how insurance will respond to your auto claims. Therefore, this week’s blog is going to discuss the differences between comprehensive and collision insurance. Comprehensive insurance coverage provides protection for damages caused to your car, which are not collision related. The small fly in the ointment is collision with animals. That’s covered under comprehensive insurance. In some states, comprehensive coverage is called, “other than collision.” Comprehensive insurance coverage is an optional coverage unless you have a car loan. Your lender will require you to purchase it. Collision insurance coverage provides protection for damages caused by upset of your covered auto or impact with another vehicle or object. Collision insurance coverage is an optional coverage unless you have a car loan. You run a stop light and hit another car. You collide with a tree, mailbox, telephone pole, or mailbox. You swerve to avoid a deer and hit a tree. Depending on the damage sustained by your car, it may be repaired or replaced. Here are some different claim scenarios and how either of these coverages will respond. A summer storm comes through your city dumping a record amount of rainfall. Local rivers overflow and storm sewers can’t handle the water flow. During the storm, you look out your window and see your car floating by. Do you have coverage? Answer: If you have comprehensive insurance coverage on your car and it’s damaged during a flood, you have coverage. If your car is totaled and needs to be replaced, the reimbursement may be your car’s actual cash value less your deductible. Talk to your agent to learn more. You’ve enjoyed a nice, hot summer with your family and friends. Countless hours have been spent sun tanning, swimming, and water-skiing. Unfortunately, your area is in a drought situation. One day an afternoon storm pops up and a lighting strike causes a wildfire that destroys many homes in your city. While your home was spared from destruction, your car, which was parked in the driveway, caught fire and burned resulting in a total loss. Do you have coverage? Answer: If you’ve purchased comprehensive insurance coverage for your car, you would have coverage if the car is damaged or destroyed by fire. If the car is totaled and needs to be replaced, the reimbursement may be the car’s actual cash value less your deductible. Talk to your agent to learn more. It’s a beautiful Sunday afternoon and you’re out cruising in your convertible enjoying the fall colors. Your favorite football team has a bye, so you’re not missing the big game. You know it won’t be long before you’ll have to put your convertible in storage for the winter. You decide to stop at your favorite burger bar for a sandwich and a diet soda. On your way home, a deer jumps out in front of you and you hit it. While the deer survived the crash, your convertible didn’t. Do you have coverage? Answer: If you have comprehensive insurance coverage, it’ll pay for the damages to your car. If your car is totaled and needs to be replaced, the reimbursement may be your car’s actual cash value less your deductible. Talk to your agent to learn more. 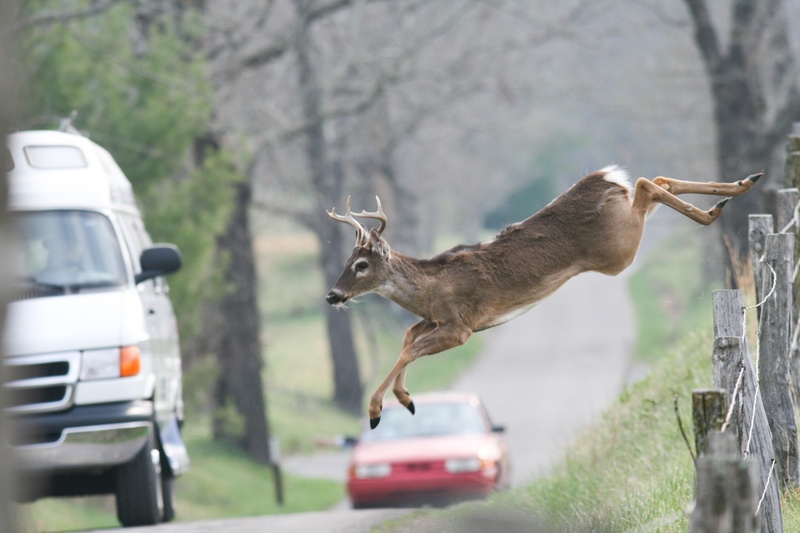 If you swerved to avoid the deer and you hit a tree instead, comprehensive insurance coverage wouldn’t apply to the damages. You would need to have purchased collision insurance for coverage to apply. A few months ago, your son or daughter received his or her driver’s license. Now that he has his or she has her license you’re life has calmed down a bit. You no longer need to take them to practice, appointments, or their job. On the other side, there’s always a bit of angst while he or she’s driving. One winter evening, the pizza parlor where he or she works closed early due to poor weather conditions. This is his or her first winter driving experience. He or she were just getting ready to make the turn into your driveway when he or she slides into your neighbor’s mailbox. Do you have coverage? Answer: Collision insurance coverage will pay for damages to your car and the mailbox too. Mother Nature has whipped up a snowstorm that’s expected to dump three feet of snow in your area. Local schools have been closed and all extra-curricular activities have been cancelled. The only thing to do for the next 24 hours is to sit by the fire with a book and a warm cup of hot chocolate or coffee. After the storm passes, you go outside to begin the process of digging out. While outside you notice that your child’s car has been crushed by a large tree branch. Do you have coverage? Answer: Comprehensive insurance coverage would pay for damage to your child’s car because of falling ice or tree limbs. Remember, there are many different claim scenarios that can affect your family. In addition, insurance policies are not created equal! Make sure you understand what’s covered by your policy and what’s excluded. Insurance policies don’t cover everything. Talk to your insurance agent to learn more about your policy and the coverage it provides.